As a kid, I loved playing with my mum’s makeup. Although she was a miminalist and didn’t have much for me to play with, I loved applying lipstick for a perfect pink pout and put on blush as part of my dress-up fun. Kids today are no different, they love dress up and costume parties and love imitating adults around them and applying makeup as well. And now, there is a whole product range made especially for kids to fun and safely play with colours on their face! Created by Georga Holdich to enrich the playtime of all kids, especially little girls, the range includes makeup crayons, lipbalms, mineral powders and makeup stencils for fun and playful designs. This is a natural way for kids to play with makeup and colours. The products are safe and gentle on delicate young skin. They are free from Ferric Ferrocyanide, artificial dyes, FD&C colours,talc, Carmine (aka Cochineal), Bismuth Oxychloride, mineral oil and paraben. My pick would be to get a play pack as a great introduction and includes a crayon to draw design straight onto skin and a mineral powder that can be applied dry onto skin or mixed with water to make face paint! 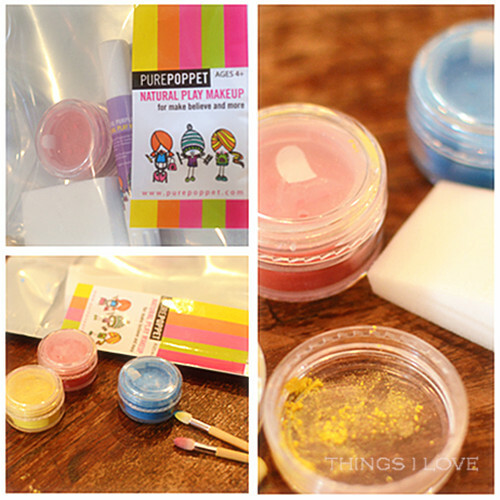 The pack also comes with applicators and sponges to draw onto skin and face. Other play packs are the lip balm and powder or the mineral powder duo sets. They are safe and provide children endless hours of fun and enjoyment that is limited only by their imagination. If you want fancy designs without the fuss, then draw your pictures over stencils for pretty designs that look like a pro. These are hits as birthday gifts and treats for kids as witnessed first hand when I presented the play pack to a little 4 year old recently. It pre-occupied her for hours and she just wanted her face made all afternoon! 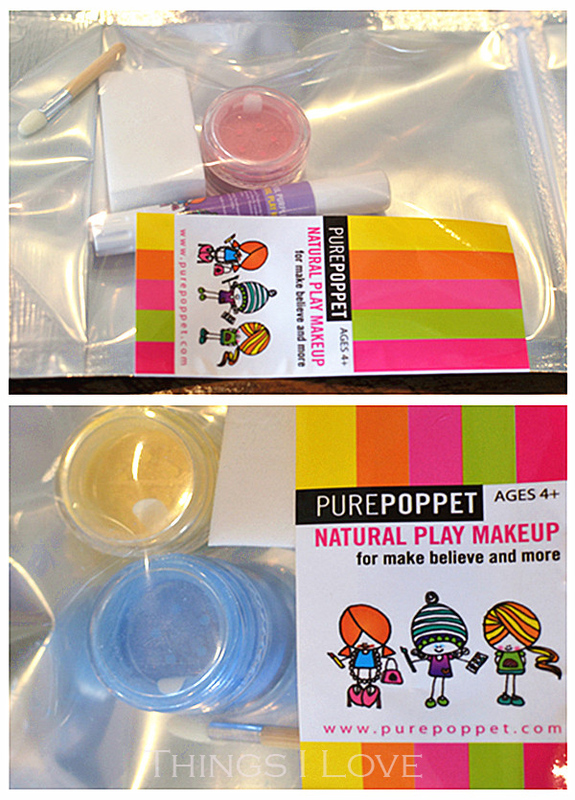 Pure Poppet Mini Play Pack RRP A$9.95, Stencils (pack of 5) RRP A$4.95. 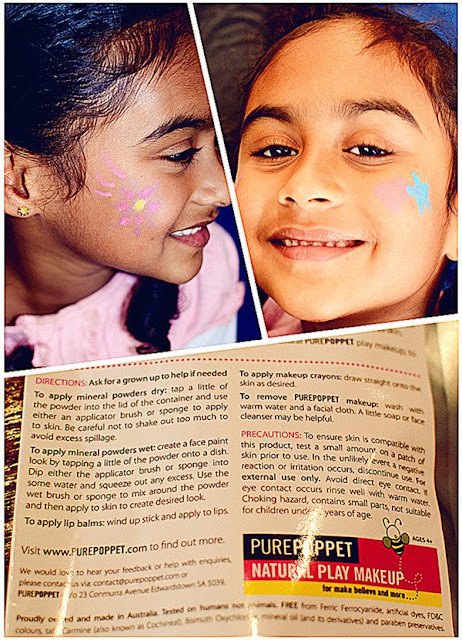 Pure Poppet great for kids age 4 and up and is available online and in selected children stores. That was so nice.. i like that! !